Check the video ad format & specs required by the cinema before production, which we have compiled below for all 4 major cinema chains in Malaysia. TV commercial used to be the only mainstream video advertising option in the good old days, but things have changed so much in recent years. With the emergence of popular social media platforms like YouTube and Facebook, video advertising is no longer limited to bigger brands with a sizable budget. 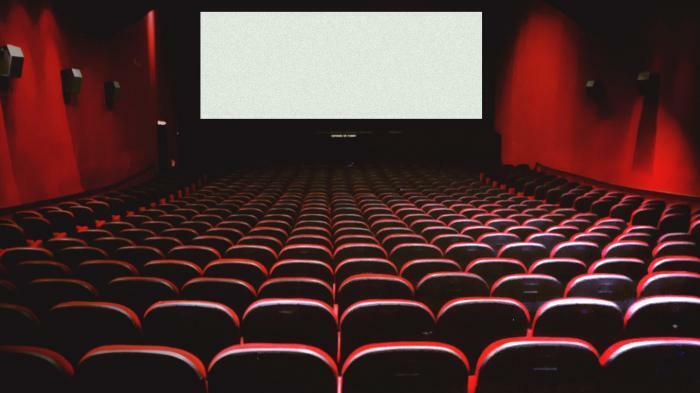 Besides digital platforms, cinema advertising is also a viable media for advertisers to reach out to the audience especially within specific locations. For marketers, producing a video for cinema ad can be quite different from the usual ones you develop for social media. It is usually a fast pace video ad within 30 seconds in length, plus you need to consider factors like the font size, call-to-action etc. 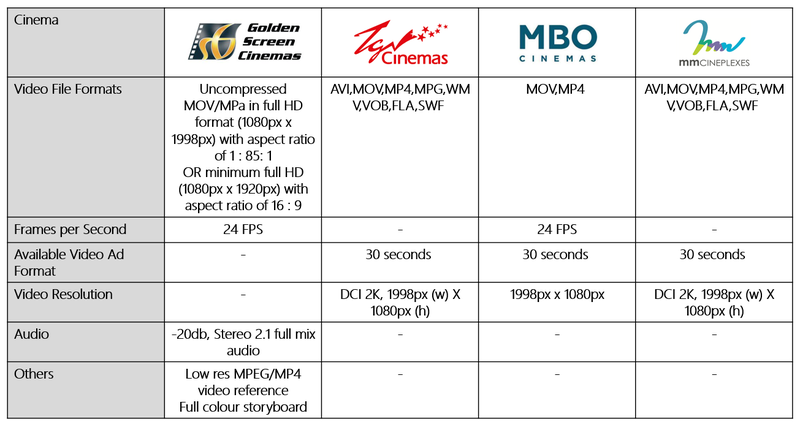 Therefore, it would be safer to figure out the video ad format & specs required by the cinema before production, which we have compiled below on all 4 major cinema chains in Malaysia. You can also jump straight to the bottom of this article for a side-by-side comparison table. Note: The information above is last updated on 5 November 2018. No subtitles for all ads airing on TV/Cinema. Only allowed for end SUPERS. MOH approved document (a.k.a. Notification Note) required for all health-related products. Halal cert required for all ads with the Halal logo insertion. Must not use VO in another language for Malay ads. Storyboard for LPF (Lembaga Penapis Filem) to have VO script. The terms like '100%', 'The No 1', 'Best' cannot be used unless a supporting document from the government is provided. SUPERS like up to 40% discount cannot be used, the exact rate offered to be indicated. Online Games with sharing credits/payment are not allowed as this is considered as gambling. Two different ads cannot be combined in One ad submission. Ads for Medicines (eg. Panadol) require the approved storyboard from KKLIU. No kissing or sexual scenes to be shown. This includes showing female cleavage or thighs. PSA – No condom ads. Is this too complicated for you? Just contact our video production team with experience of producing short videos for both digital and cinema within a reasonable budget range.